Together as a regimen, I found the products to be light and non-greasy. The Night and Day Care creams, especially, were lighter and more translucent than others – something I appreciated. I have found that heavy creams can lead to skin break-outs: the irony of being 50-something. 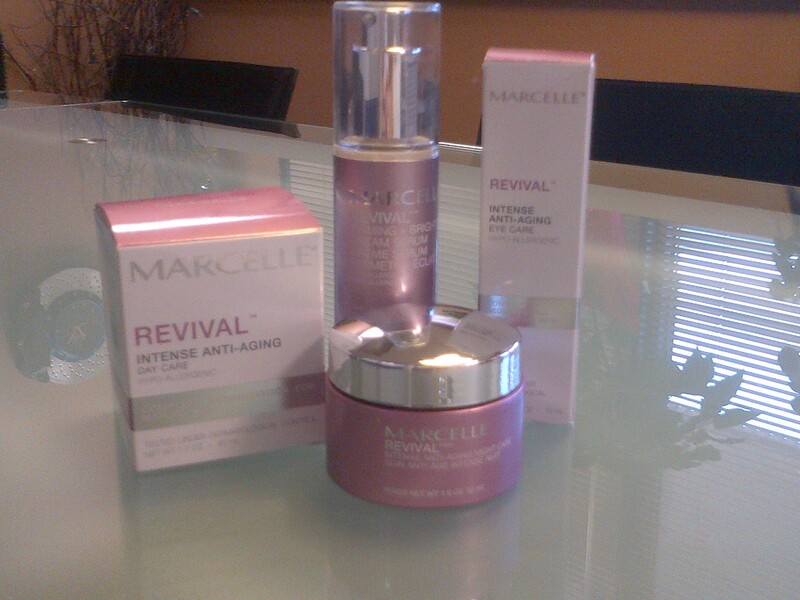 Lighter creams, however, such as the Marcelle products, did not create any issues for me. The line is fragrance free and I will admit that I’m not really a fan of unscented products in general. Give me a hint of citrus, mint or lavender for a more luxurious experience. That said, I know that having fragrance free products is important to many women, and the Marcelle line certainly fits the bill. The price point for the collection is also unbeatable. This affordable line offers a quality product and for significantly less than other skin care lines. I give the Marcelle Revival Line 4 stars out of 5. NOTE: Thanks to the fine folks at Marcelle for supplying the products.